I have to seriously question the honesty of the potential trolls who have discarded this album with one and two star ratings. Dream Theater has been a progression of music since they came on the scene in the late 80's. Yes, Images and Words was a landmark album for Prog Metal. Yes, Scenes from a Memory established their concept-album bona fides. But are you looking for them to produce the same thing again? Like all talented musicians, the Dream Theater crew has grown and expanded musically. The Astonishing is another step in that progression. We DO LIKE PROGRESSIVE MUSIC, right? I am personally thrilled that James Petrucci could come up with such a bold, ridiculous concept and bring it to fruition. He incorporates a science-fiction story into a Broadway-musical Prog-Metal Opera! WTF! It reminds me of some of the outlandish stretches you can be brought to listening to an Ayreon album. The musicianship is, as always, breathtaking. The orchestrations and interludes are fresh and new-sounding, while still sounding like Dream Theater. There are fewer hard edges to this music, but it is not sissified in any way. If you can't appreciate Theater Music (minus the Dream), then perhaps your appreciation of Prog suffers because of that. I Love Music. Musical Music. Talented Music. It doesn't have to have e electric guitars, it can have cellos. Dream Theater has always excelled at developing a melodic line and carrying it forward, then twisting it around, flipping it over and looking at the underside. They do that here and the melodies feel natural, not forced. Petrucci can often be accused of playing "too many notes". Well, he manages to control himself throughout most of "The Astonishing" for the greater good of the composition. Sure, there are characters and story lines happening that we may or may not want to read into to find out, but the music carries us along so that the importance of those details does not really matter, and does not detract from the enjoyment of the composition. James LaBrie sounds like he is 20 years younger and delivers powerfully without the false n need to sound like different characters when he is singing for them. The themes are timeless: power, oppression, freedom, l love and family. Prog has delivered such beautiful gems to us in the last decade. Bands stretching limits and doing things we haven't heard before. It is god-damned hard to put something new on the airwaves when there is so much out there, but I honestly think t that Dream Theater has done that with this album. 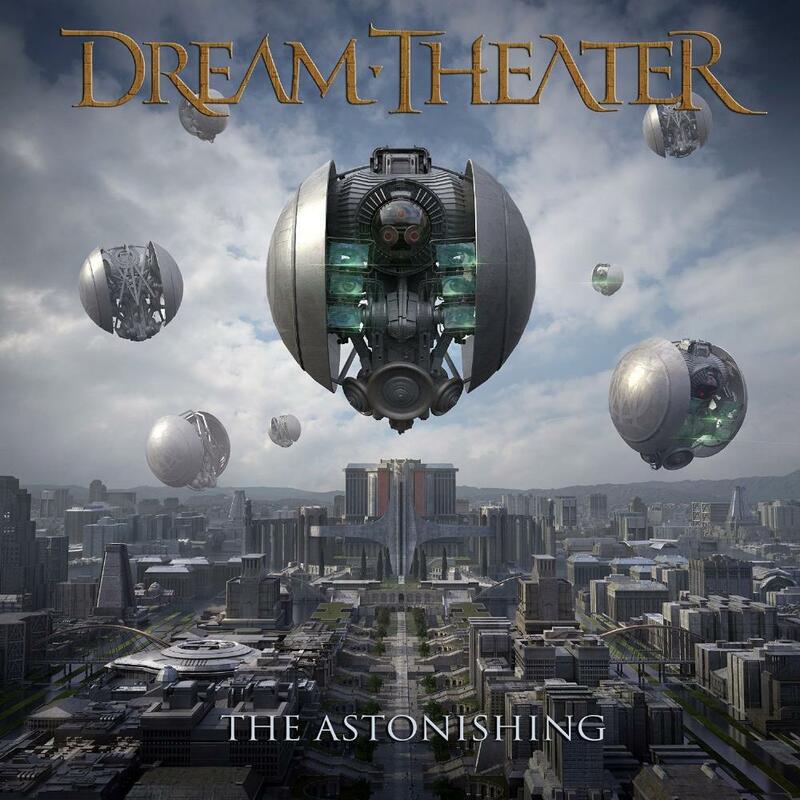 "The Astonishing" is like Dream Theater meets Andrew Lloyd Weber. And if you can't appreciate Andrew Lloyd Weber, then you can't be a true Prog-head and you should run back to your Yngwie Malmsteen albums. I have been a DT fan since about 1992 when I bought Images and Words. If you make music for a quarter century, there are going to be high points and low points. The low points, for me, have been "Awake" and "Train of Thought", while each still had some very nice moments. Their musicianship has always held them up. There is not and has not been a week musician in this band. Mike Portnoy leaving certainly changed their feel but not really their musical direction, and Mike Mangini has chops that no one can question . Jordan Rudess on keys is a treat to listen to whether he is wailing on the synth or tickling the ivories like a virtuoso. The plain fact is that these guys produce sounds that sound excellent, period! The orchestrations are excellent, the production is solid as always. DO NOT let the trolls tell you that this album is not worth the listen. IT IS!! !